As the cost of prescription drugs continues to climb, many consumers are looking for ways to keep their drug therapy affordable. In recent years, prescription drugs have seen a cost increase of as much as 10 percent. This increase has had an impact on both patients' wallets and their health, and many are looking for ways to keep their treatment plans affordable. 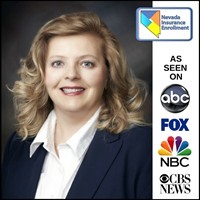 Las Vegas Nevada residents who are concerned that they may have difficulty following their treatment plan because the cost of their prescribed medication is prohibitively high have a couple of options. First, they can talk to their doctors about alternative treatments, and second, they can find out if paying for the prescription out of pocket rather than using their insurance would save them money. Too often, patients do not tell their doctors when a prescription is too costly. Instead, they may take the medication less often than directed, stop the medication mid-treatment, or neglect having it filled altogether. When the cost of a prescription drug is too high for the patient to afford, it is essential that they communicate their concerns to their doctor. In many cases, their doctor may be able to prescribe a more cost-effective alternative, such as a generic. In some cases, a patient can save money on their prescription drug by asking their pharmacist what the out-of-pocket cost would be for the medication versus their drug copay. According to a study conducted by the University of Southern California Schaeffer Center for Health Policy & Economics, consumers overpay on their prescription drugs 23 percent of the time. 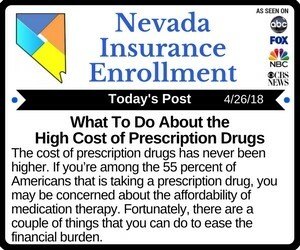 An individual that has a health insurance plan with a fixed copay often assumes that their copay will be lower than the out-of-pocket cost for their medication. However, this is not always the case. Amoxicillin, for example, may cost as little as four dollars when paid for out of pocket. However, if a patient with a fixed copay of, say, $10, assumes that their copay will be their cheapest option and they pay it without questioning, they will have overpaid for their prescription by six dollars. On average, when a patient overpays for their prescription drugs, it is by nearly eight dollars. Brand-name drugs have an overpayment amount of more than $13. By asking the pharmacist what the out-of-pocket cost for a drug would be, an individual may be able to save money. Today, 55 percent of Americans are taking a prescription drug. In addition to maintaining open communication with their doctors and discussing drug costs with their pharmacists, patients should also speak with a health insurance agent who can help them review their coverage and ensure that it is adequate for their changing needs.